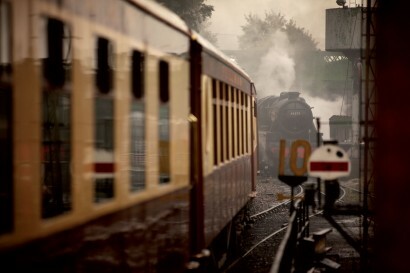 The oldest carriage, Ibis, dates back to 1925. Others, like Audrey and Vera, survived bomb damage during air-raids over London’s Victoria Station in 1940. Based in the South East of England, Belmond British Pullman has regular departures from London Victoria Station with occasional departures from other stations nationwide. 1) The tables on board Belmond British Pullman are laid 140,000 times each year. 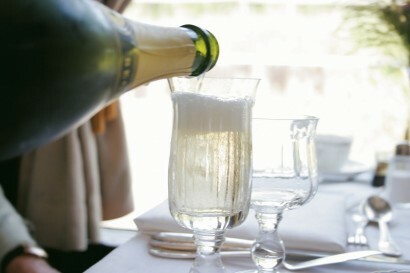 2) 22,000 bottles of Champagne are served each year…which equates to 130,000 glasses of bubbly! 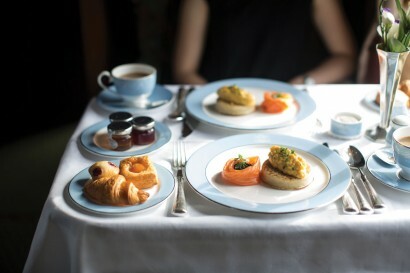 3) More than 150kg’s of Caviar is served each year. 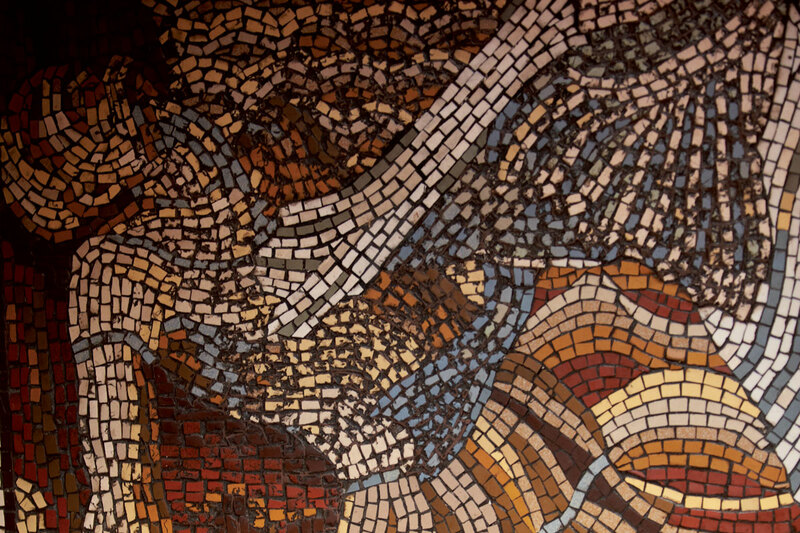 4) 32,500 litres of freshly made soup are served each year. 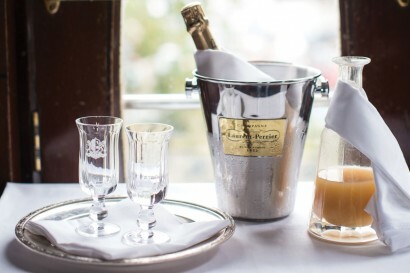 • Journeys are planned to maximise the enjoyment of the scenery while fine food, champagne and wine are served at your table. 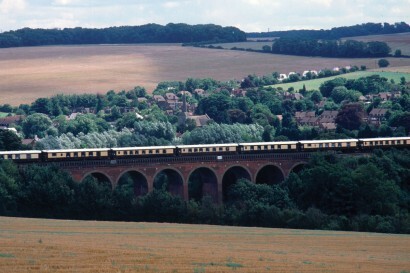 • We have a superb selection of journeys for families. • Families will be seated in a designated area of the trains. • Served special children’s meus. 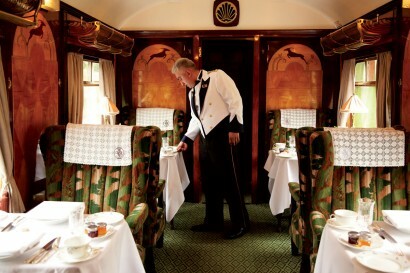 The Belmond British Pullman train embodies everything that was fabulous about the roaring 1920s and ‘30s. 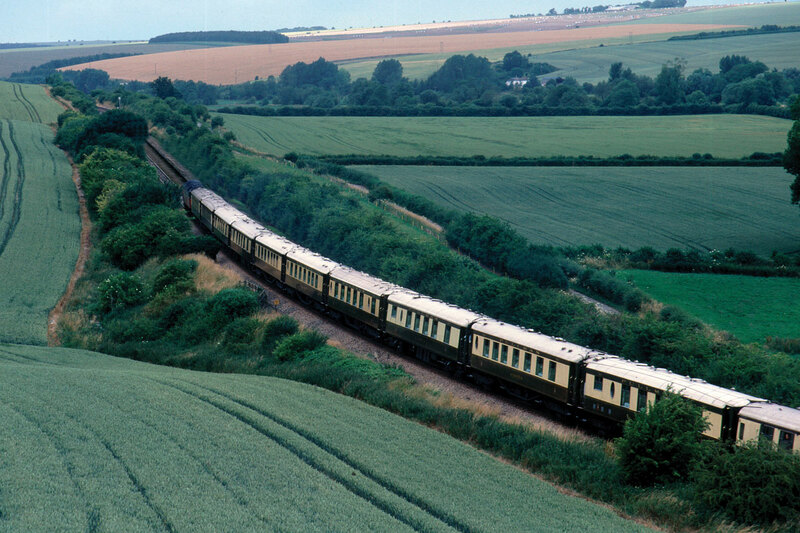 In their heyday, these authentic carriages formed part of the most famous and luxurious services in Britain—The Bournemouth Belle, The Brighton Belle, The Queen of Scots and The Golden Arrow. 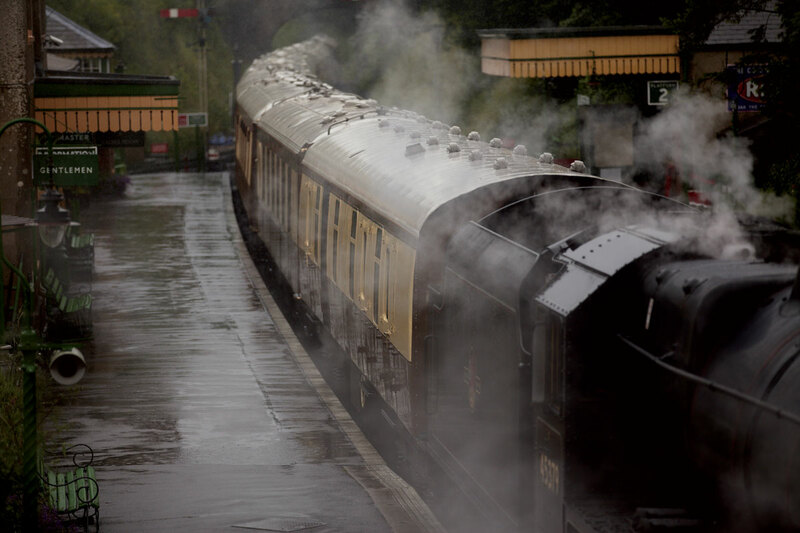 Today, each carriage has been lovingly restored and refurbished, so that you too can experience the glamour of vintage rail travel. 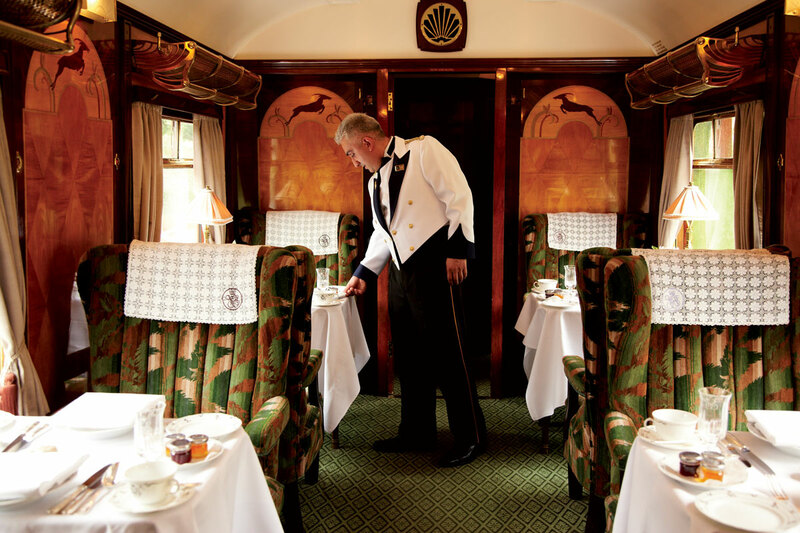 Each Belmond British Pullman carriage is unique, bearing its own name as well as a colourful history. 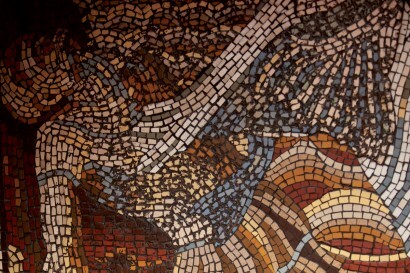 Lovingly refurbished, their exquisite design and workmanship is legendary. Veneered panels gleam. Art Deco lamps shed soft light on polished brass, bevelled glass and glossy mahogany fittings, while the unique armchairs provide comfortable and intimate dining. There are four different styles of Pullman carriage, seating between 20 and 26 passengers with various seating combinations made up of tables for one, two, three, and coupés (private compartments) seating four. Please note that at busy times, parties of two may be seated sharing a coupé with another party of two. Parties larger than four will be seated at a combination of tables. 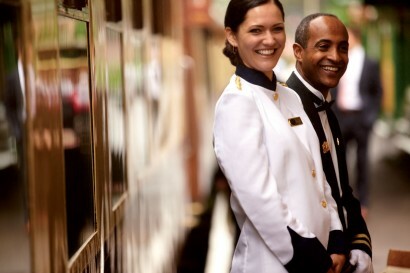 Dining on Belmond British Pullman is pure indulgence, with innovative dishes and excellent wines served by your steward. Each menu is lovingly conceived by our chef using the finest British ingredients. His passion is fuelled by knowing he is a part of making someone’s special occasion extraordinary. Each meal is accompanied by the finest wines and Champagnes, expertly selected by our sommelier. From business events and wedding receptions to retirement parties and anniversaries, celebrate on one of our scheduled trips or charter the train and tailor your exclusive itinerary. 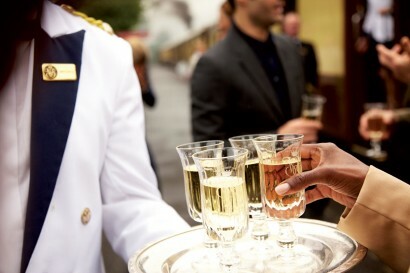 For an unforgettable staff incentive or party, consider a photographer, magician or murder mystery scenario. For business functions, make an impression with customized menus incorporating your company’s logo and a special welcome message. 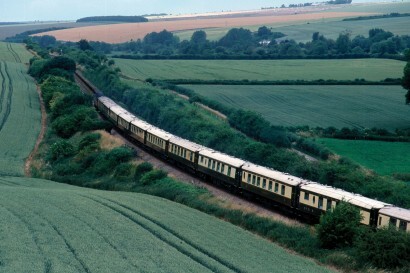 Charter the Belmond British Pullman privately for one of our regular excursions. Alternatively tailor your own custom trip. Choose the destination, length of journey and all the activities on and off the train. 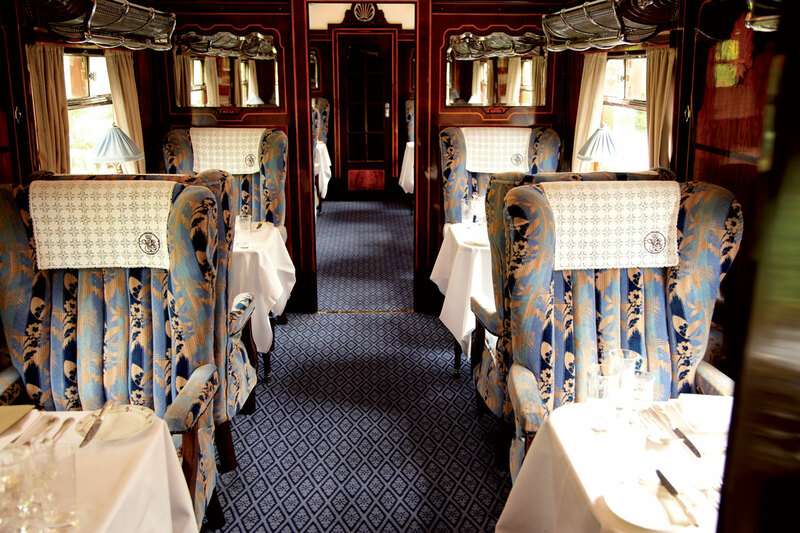 As well as exclusive use of the train for up to 226 guests, and the option for pre-selected drinks and custom menus, we’ll organise additional special arrangements. 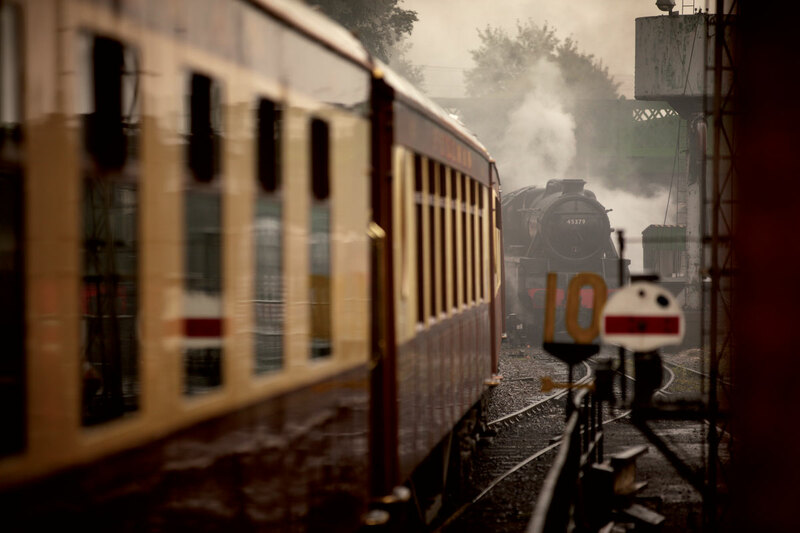 From musicians and photographers on the platform to performers and theming on board, we’ll ensure a journey like no other.